In my previous post entitled, misrepresenting the shooting sequence, I spent a considerable amount of time discussing the dishonesty of lone gunman theorists, concerning the ear witnesses to the assassination. I also discussed how they deliberately cherry pick the statements of witnesses, such as Harold Norman, but ignore the rest of their statements, and deliberately omit the recollections of other important witnesses such as Bonnie Ray Williams, and James Earl Jarman. In this post, I will specifically address the disinformation concerning the first shot I have come across on websites upholding the lone gunman myth. Let’s bear in mind that the FBI’s lab tests on “Oswald’s” Mannlicher Carcano rifle, determined a minimum of 2.3 seconds was required to work the bolt of the rifle - to eject and then load another round into the firing chamber. Let’s also bear in mind that the speed of the Zapruder camera was determined to be 18.3 frames per second. The LPM theory holds the second shot was fired circa frame 224 of the Zapruder film, and struck both President Kennedy and Governor Connally. With the speed of the Zapruder film at 18.3 fps, the first shot had to be fired at least prior to frame 182 - in order for one gunman to have accomplished the feat on his own. 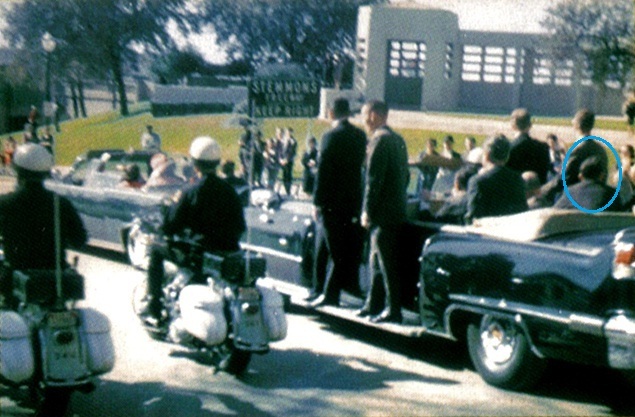 The LPM theory of course holds that the first shot was fired at circa Zapruder frame 160. On his blog site, JFK files, lone gunman kook, Dale Myers, wrote long criticisms of Max Holland’s first shot theory. For those who are unaware, Holland’s theory holds that the first shot was fired before Abraham Zapruder started filming JFK on Elm Street! Myers of course was correct in refuting Holland’s utterly absurd theory. However, what exactly did Myers himself omit and distort? Let’s take a look. Myers explains that the actions of Governor Connally, Nellie Connally, and Jackie Kennedy as seen in the Zapruder film, “proves” the first shot was fired at circa Zapruder frame 160. Myer’s however, omits that both Nellie Connally and Jackie Kennedy claimed to see JFK react to the first shot by grabbing his throat. Pat Speer wrote extensively about the observations and reactions of these three witnesses on his website, and I also discuss Governor Connally in part 2 of my essay. Like all of his fellow lone gunman kooks, Myers deliberately omits the statements of witnesses who claimed to see JFK waving as the first shot was fired. JFK of course is not waving at frame 160, but is waving between frames 178 and 190. Hence, the observations of these witnesses place the first shot between frames 178 and 190 of the Zapruder film. 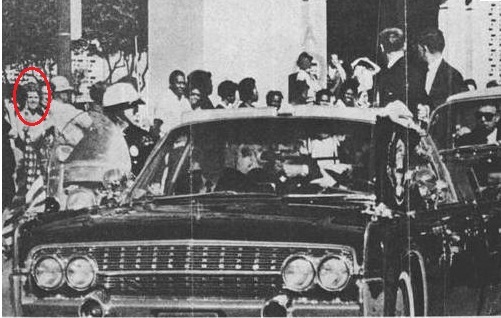 Witnesses who claimed to see JFK waving as the first shot was fired include Phil Willis, Linda Willis, John Chism, Marvin Faye Chism, Patricia Lawrence, Abraham Zapruder, and Kenneth O’Donnell. There certainly aren’t a lot of witnesses who claimed to see JFK waving as the first shot was fired. However, the important point to bear in mind is that not witness claimed to see JFK wave after the first shot was fired! Certainly something to keep in mind. Myers also discusses the observations of Bonnie Ray Williams (who was viewing the motorcade from the 5th floor of the TSBD). Myers explains that the last thing William’s saw JFK do before the first shot, was to brush his hair back (which JFK can be seen doing at circa frame 140). He omits however, that Williams claimed in his 1967 interview with CBS that he saw JFK slump after the first shot (yet JFK slumps after the “single bullet” shot at circa frame 224). It’s also important note that Myers omits Williams’ statements to both the Dallas Sheriff’s office and the FBI, where he claimed to hear only TWO shots fired above him. Gee, kind of important isn’t it Dale? But hey, when you’re a diehard Warren commission zealot, who cares if Williams heard only TWO shots, right? Myers also explains that Harold Norman told the Warren commission he also saw President Kennedy brush his hair back prior to the first shot. What he omits however is that Norman informed the Warren commission he observed the President “slump or something” after the first shot.I think that’s important information to include, wouldn’t you say? Despite Myers BS claims, the three agents in question made it perfectly clear they observed President Kennedy react to the first shot (not the second shot), by leaning or slumping to his left. 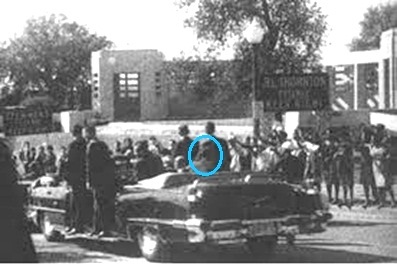 Both Landis and Hickey (along with agent John Ready) can be seen in the famous Altgens’ photograph taken circa Zapruder frame 255 looking to their rear. Myers further states: “None of these reports aid us in determining the exact moment of the first shot either”. Whilst that is true with regard to their statements, Hickey’s rapid head snap between Zapruder frames 193 and 202, helps us place the first shot closer to frame 190 than 160. Although lone gunman zealots love to use Governor Connally’s rapid head snap (circa frame 165) to support their first shot miss theory; they completely disregard Hickey’s rapid head snap. The arrows in Zapruder frames 193 and 202 below point to Hickey. As we can see, in frame 193, Hickey is still looking to his left. However, by frame 202, he is now facing forward. With the speed of the Zapruder camera at 18.3 fps, the speed of Hickey’s head snap was roughly 0.5 seconds! Now, although Hickey never claimed to have turned from looking to his left upon hearing the first shot, what other possible explanation could there be for his reaction? Bear in mind that Hickey’s reaction is perfectly consistent with the statements of the witnesses who claimed to see President Kennedy waving as the first shot was fired. It is also consistent with the Zapruder camera jiggle and blurring which begins circa frame 188 (by my observation). Myers actually believes Hickey’s reaction supports the mythical shot at frame 160. He can only claim that by ignoring the statements of the aforementioned witnesses to JFK’s wave. I will discuss the timing of the first shot in more detail in part 2. Also, be sure to check out Pat Speer’s website concerning the timing of the first shot. Speer ultimately concludes the first shot was fired Circa Zapruder frame 188. Speer also does an excellent job of exposing how Vincent Bugliosi cherry picked ear witness statements to support the mythical shot at frame 160. See here. James Tague is undoubtedly one of the most important witnesses to the assassination of President Kennedy. For those who are unaware, Tague was standing near the curb on main and commerce streets when the shooting occurred. Tague was injured when a bullet or a fragment of a bullet struck the curb and dislodged a piece of concrete, which nicked his left cheek. "There was that first shot, then the second and the third. Some time, I think it was the second shot, a bullet--I'm sure it was a bullet--hit the curb in front of me and I felt a sting on my cheek." In 1992, Tague was interviewed by lone gunman kook, Gerald Posner. 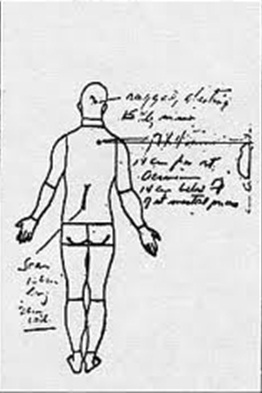 According to Posner, Tague claimed he didn’t know which shot had caused his injury. However, in an article written by William Goggins (available on John McAdams website), Tague claimed Posner had misquoted him. "Holland is full of crap. One thing I know for sure is that the first shot was not the missed curb shot. Another thing I am positive about is that the last shot was the missed shot. You may not want to believe the Warren Commission’s final findings, but you can believe the 11 witnesses who state it was the last shot that missed”. As we can see, Tague was consistent in maintaining the second shot was the one he had associated with his injury. Tague was also adamant that the first shot was not the missed shot! So where did lone gunman theorists get the idea that it was the first shot which nicked the curb. Well, I would say from their rear ends. Frankly, the arrogance and dishonesty of these disinformation artists simply astonishes me. Did they really think they could get away with this crap they’re peddling? Apparently so. Tague’s recollections are also a blow to the pet theory that President Kennedy was struck by the first non-silenced shot, and Governor Connally was struck by the second non-silenced shot. Now, Tague did believe at times that the third shot was the missed shot. However, this is understandable, when we take into account the fact that like the majority of assassination witnesses, Tague heard the second two shots fired very close together. So naturally there would have been some confusion in his mind as to which of the second two shots was the one which caused his injury. However, he was more consistent in believing the second shot was the one which caused his injury. So what did cause the damage to the curb? 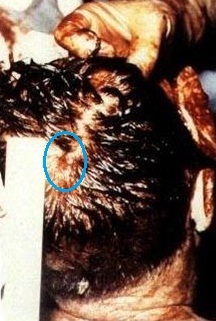 In my opinion, it was a fragment of the bullet which struck President Kennedy’s head from behind. This theory was first postulated by Josiah Thompson in his book, Six seconds in Dallas, and is supported by Warren commission zealots, Larry Sturdivan and Ken Rahn. 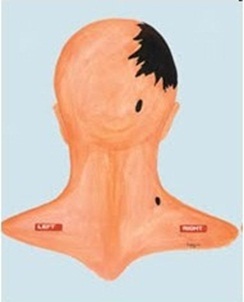 Also, Pat Speer has made a very convincing argument that the fatal shot to JFK was a tangential wound which struck the top right portion of his head. 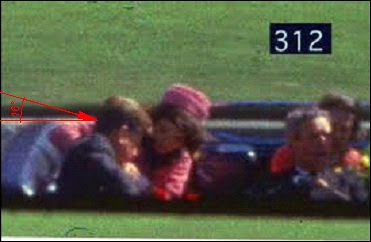 Lone gunman and conspiracy advocates alike, have used the argument that President Kennedy’s head first moves forward between frames 312 and 313, as proof of a shot to the head from behind. 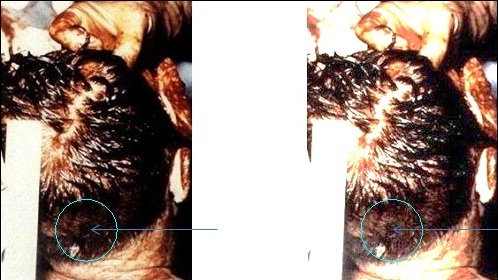 However, as Speer has noted, if you look closely at the frames, Kennedy’s head actually moves downwards (indicating the bullet hit the top of the head!). A tangential strike to the top of the head would also explain how the bullet sheared apart, and also explains how a fragment would deflect upwards towards the Tague curb, right? 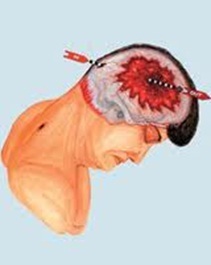 For more information on the head wound, be sure to check out Speer’s website. For photographs of the broken bullet, check out JFK Lancer here. Let’s also bear in mind, that several witnesses such as motorcycle officers James Chaney and Bobby Hargis, SS agents Paul Landis and Clint Hill, Charles Brehm, Abraham Zapruder, Marilyn Sitzman, James Altgens, Bill Newman, and James Earl Jarman, indicated the second shot was the head shot. Now is that Just a coincidence? Also, as I explained in the previous post, other witnesses described the third shot as the head shot. This is understandable when we take into account the fact that these witnesses heard the last two shots fired very close together. 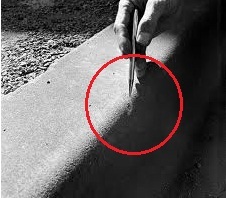 Let me finish by saying that the notion a bullet fragment could travel several hundred feet in mid-air before striking the curb - with sufficient energy to dslodge a piece of concrete, is one of the most ridiculous ideas I have heard concerning the assassination. Bear in mind that no damage to the Oak tree was ever identified. Also, just think how ridiculous it is that a bullet could strike a loose tree branch with such force that it would actually deflect upwards - without leaving a trace of damage on the tree. Truly ridiculous!